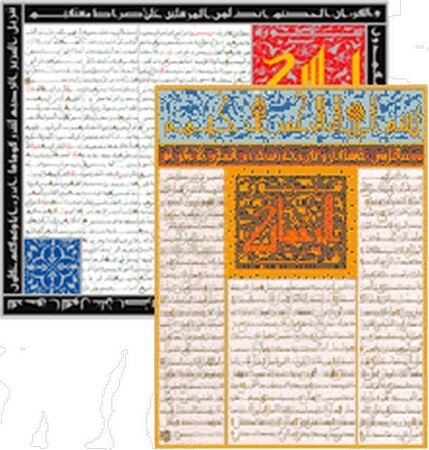 Adorn your home with these contemporary masterpiece of Islamic Calligraphy, reprints of original hand written copies of Surah Yasin and Surah al-Rahman, in Andalusian Maghribi script in the warsh reading of the Qur'an and with Kufic headings. Includes colored-gold foil embossing. Al-Rashad Books under license from White Thread Press is the sole distributor of Turath Books in North America. Wholesale enquiries should be made to [email protected].